The earliest major work in English on the wines of the ancients, and the first book in English that discusses modern wines is among the current offerings from London specialist booksellers Peter Harrington. It was written in the 18th century by Dublin based Professor Edward Barry. A doctor by training Edward Barry served as physician-general to the forces in Ireland, and professor of physic in the University of Dublin 1745-61. Elected a Fellow of the Royal Society in 1732 he became a fellow of the Royal College of Physicians of Ireland in 1740 and its president in 1749. He entered the Irish House of Commons in 1744, representing Charleville in Co. Cork until 1760. 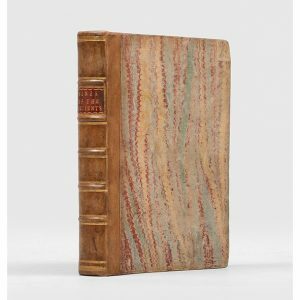 The first and only edition of Sir Edward Barry’s Observations, historical, critical and medical on the Wines of the Ancients 1775 is priced at £2,250. This entry was posted on Wednesday, August 8th, 2018 at 10:04 am	and is filed under Miscellaneous. You can follow any responses to this entry through the RSS 2.0 feed. You can leave a response, or trackback from your own site.